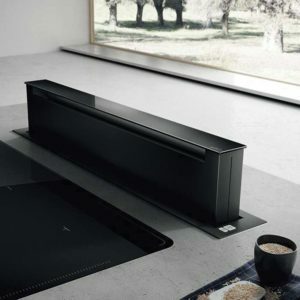 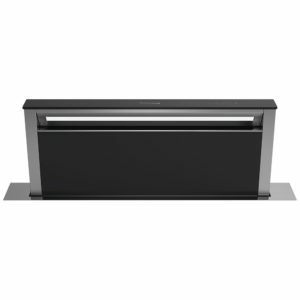 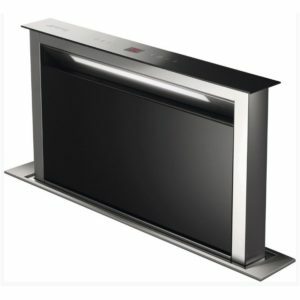 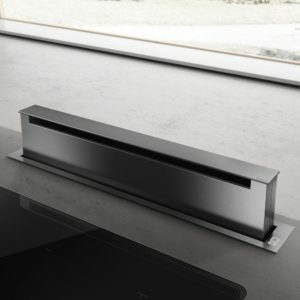 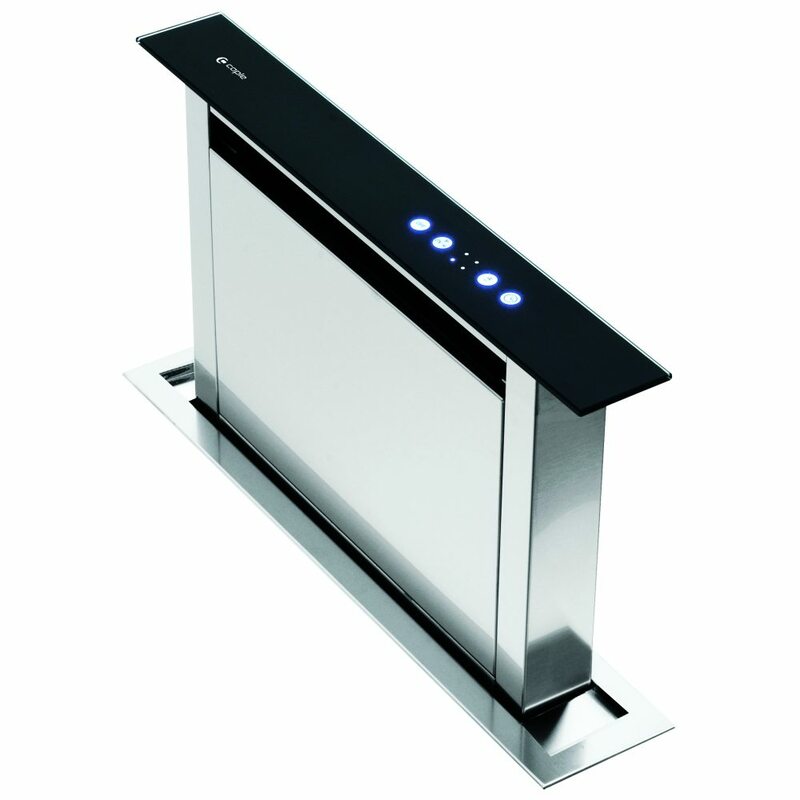 We’re excited about this stunning 58cm downdraft extractor from Caple. 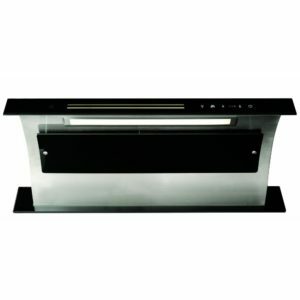 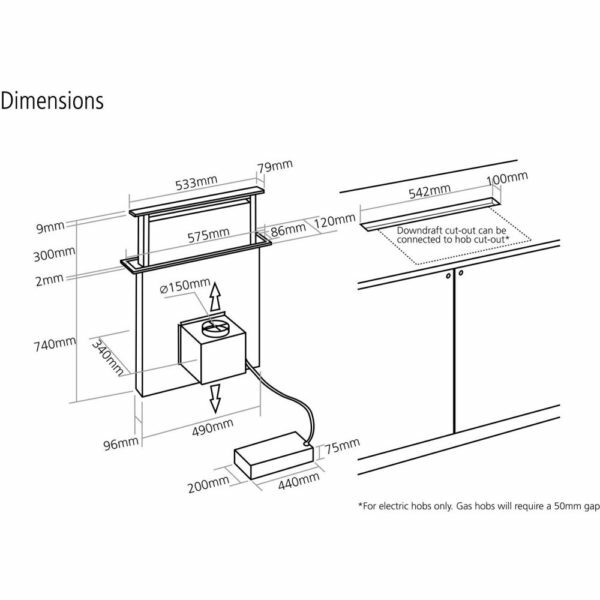 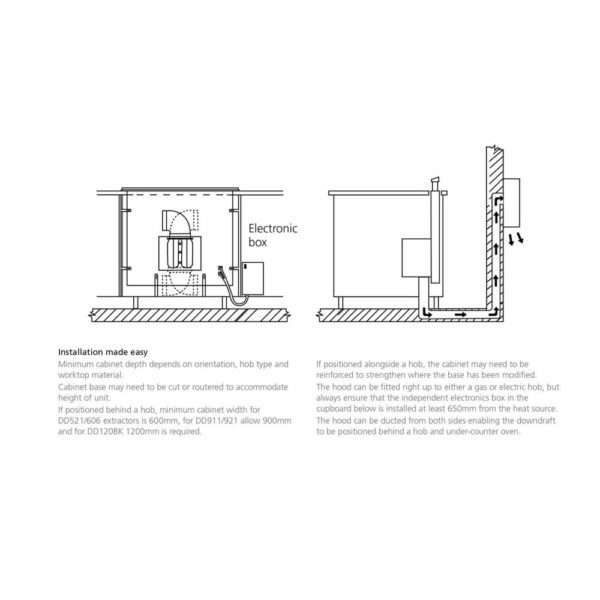 Designed to be built into an island directly behind your hob it effortlessly rises at the touch of a button. 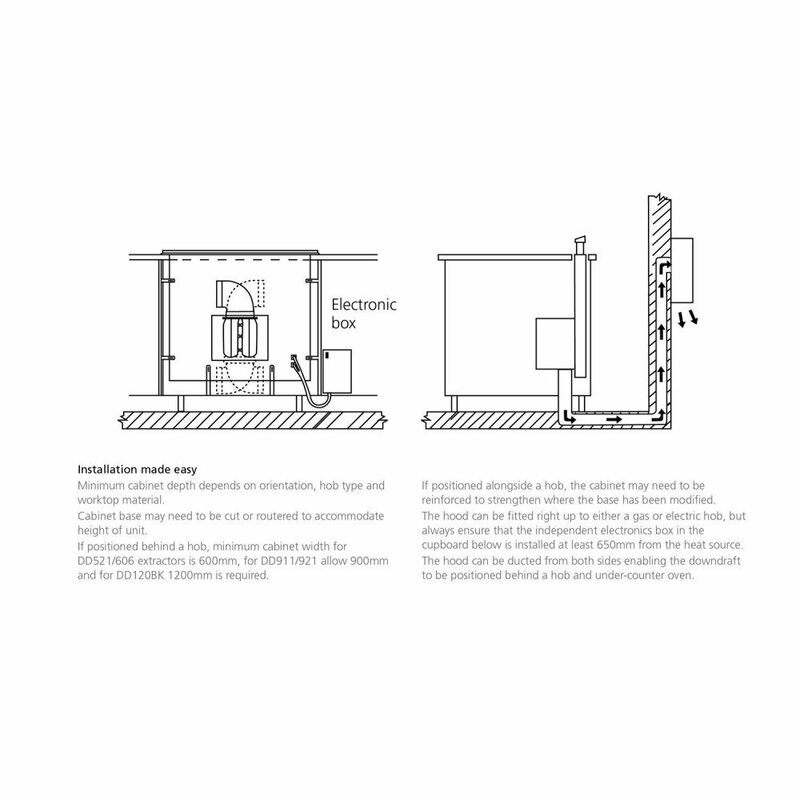 Boasting an extraction rate of up to 1570m³ per hour it really impresses. 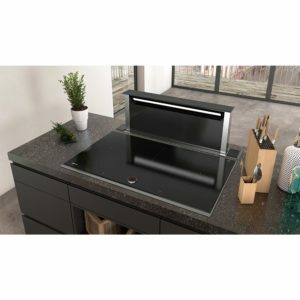 Arriving in stainless steel and black glass the Caple DD606BK is sure to please in any kitchen setting. 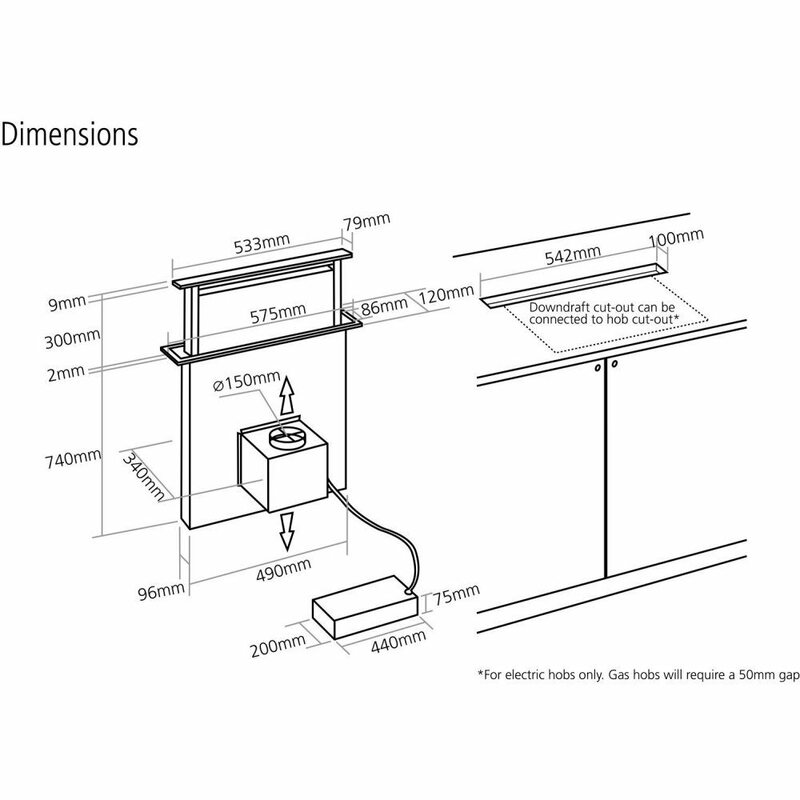 This product is supplied without a motor.